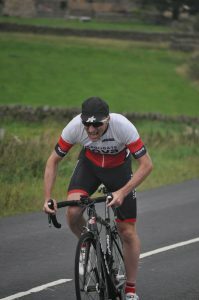 The final event of the Beech House Dental Practice Time Trial League was an excruciating one mile ascent of Darley Head. 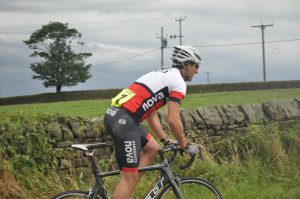 The early pace was set by Nova’s Rob Senior, who broke his PB to record 4:42, a few minutes later his time was beaten by last week’s hill climb winner Prologue’s Dylan Flesher with 4:31, equalling Julian Varley’s 2013 Junior Record. Nova’s Simon Ketteringham then drew level with 4:31, a new veteran’s record. A joint winner was declared until it transpired that Nova’s Jonathan Webber had missed his start time and was (exceptionally) allowed to start after the time keepers reassembled. Upon returning to the headquarters he asked “was it worth it?” It was as Jonathan recorded 4:28 to win by three seconds. The women’s event was won by Claire Riley in 7:26. 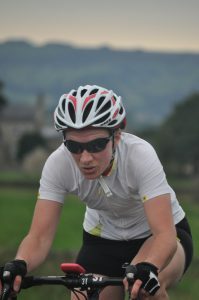 The most improved rider was Richard Buckle with a 1:07 improvement, ahead of Jonathan Webber’s 31 second improvement. The final standings for the league are Men’s Champion, Duncan Mullier (Nova), second, Dylan Flesher (Prologue), third, Rob Senior (Nova). Women’s champion Corinne Mitchell (Nova), second, Sarah Cave (Nova), third Jessica Bacon (York Cycleworks). Most Improved rider Harry Wrightson (Nova), second, Rob Senior (Nova), third, Dylan Flesher (Prologue). The riders would like to thank Vaughan and Margaret Caswell for running another successful league for the riders to enjoy. Sorry Jon, the time keepers might have reassembled but the photographer was too lazy. ‹ Ele Smashes Scarhouse Record!